I was sipping my cappuccino at Philter Coffee this fall one day when a lady named Chelsea asked me about my next chocoldunaiate event. Although I had none planned then, I promised her to organize one. After I emptied my cup, I headed straight to the library, where it took all of 30 seconds to book a chocolate tasting workshop with Alex. Gosh, I wish all my meetings were that productive. I now look forward to meeting Chelsea and her friends at the Kennett Library this Saturday, November 18, 2017. I have a couple more events planned this year to satisfy your chocolate cravings, including a Map Chocolate pop-up sale that same Saturday and a tasting at Grace Winery next month. Here are all the details, I hope to see you at one or all of these events! Join me at the Kennett Library this Saturday, November 18 for a FREE chocolate tasting workshop at 2 PM. Spoiler: you’ll touch a cacao pod and taste camel milk chocolate from Dubai. Space is limited so make sure to register here. The event was completely booked last time so don’t wait to save your spot! 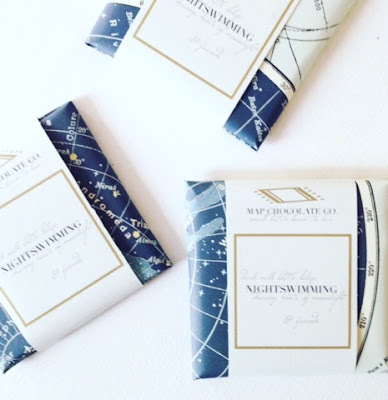 On Saturday, November 18, I will have Map Chocolate bars for sale at the inaugural Potts Meadow Tree Lighting event, presented by the Chadds Ford Barn Shops and the Brandywine Conservancy & Museum of Art. I’ll be there with several cool artists (Katee Boyle! Bri from Arden + James!). The event will run from 4:30-8:30 PM, you’ll find all the details here. The history of the Barn Shops goes back 50 years, when some historic buildings (old general store, gas station, etc.) in Chadds Ford, PA, were moved to their current location for preservation purposes. My friend Bri and her father have been fixing up the shops all year and they’re proud to share them with the local community. Please note you MUST park at the Brandywine Museum down the road and take a shuttle to the event. For safety reasons, including Route 1 traffic backup and children wandering around, you can’t park at the Barn Shops. I love with the quiet, romantic setting of Grace Winery in Glen Mills – Prince Albert of Monaco was recently there! – so I am thrilled to host a two-hour chocolate education and tasting workshop on Friday, December 15 at 6 PM – 8 PM. Tickets are $50 and include your first glass of wine. If you’d like to learn more about your favorite food, hold a cacao pod, eat a cacao bean, and taste several chocolates, secure a spot now on EventBrite. Please sign up to my newsletter to be notified of future news and updates. Happy Valentine’s Day, chocolate-lovers! This Love Shack bar by Map Chocolate is the perfect bar to eat today and not just because of its name. Let me explain. This bar features Tien Giang cacao beans, which are sourced in Vietnam. I experienced the beans for the first time in a dark chocolate bar and all I remember is a strong (albeit nice) acidity with a faint chocolate flavor. It was good but it felt like it needed a loving arm to hold onto. 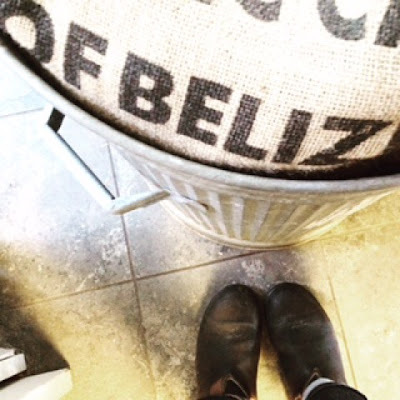 There is a belief in the chocolate world that you honor cacao by making dark chocolate with no inclusion so you can “let the beans shine.” Well, let me tell you something. I liked myself before I met my husband but I became a stronger, better person after I fell in love with him (and yes, he’d say the same thing about me.) Sometimes, cacao is like us and it needs a partner to make it stronger. If you dare to listen, it will tell you what it needs. Last fall, I welcomed Map Chocolate’s Love Shack into my life. 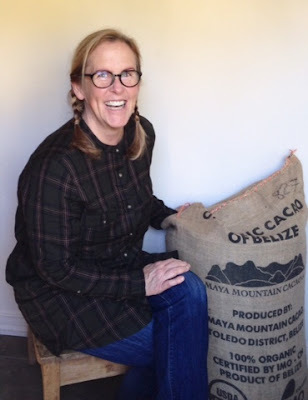 Mackenzie Rivers, chocolate-maker at Map Chocolate turned the Tien Gang beans into a work of art. She honored the Tieng Gans beans by giving them a partner to play with: lemon cookies. The cookies echoed the acidity of the bean, while bringing enough sweetness to balance the chocolate. Now that’s what I called “honoring the bean” and I am grateful for Mackenzie for this match made in heaven. 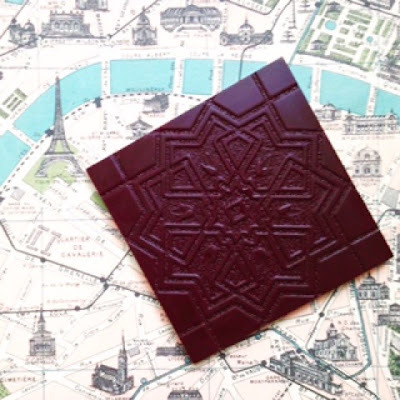 To learn more about Map Chocolate, read my interview with founder Mackenzie Rivers here. A few wrappers of some of the bars I tried last year. Happy new year, everyone, I hope January is already off a great, chocolate-y start! While 2015 has revealed my passion for craft chocolate, 2016 will be the year I will investing in said passion. Although I have learned a lot from many makers last year, I have recently enrolled in the Chocolate Flavor 101 Class by Ecole Chocolat to learn more more about cacao production and chocolate flavor: have you ever wondered why chocolate tastes so different at different times of the day? In 2016, also want to share my passion with more people. I have found the world of chocolate to be very intimidating to the non-initiated like I was was 6 months ago. In June of last year, I probably had the same questions you have had: why is craft chocolate so expensive? What is the big deal about single origin? Is my palate refined enough to perceive the “notes of hibiscus” mentioned on the chocolate wrapper? 60+ bars later, I now know that you should not worry about having a sophisticated palate to appreciate good chocolate and I am on a mission to convince you that appreciating craft chocolate is within everyone’s reach. How? Well, here’s the plan. First, I will reopen my online craft chocolate shop this month. 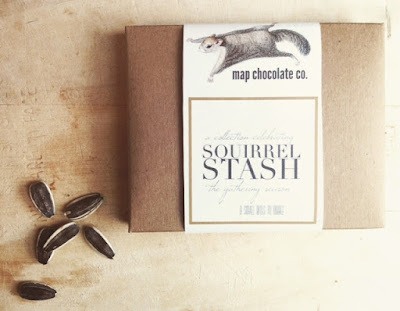 I will be carrying bars from two of my current favorite craft chocolate-makers: Map Chocolate will be back on my shelves, but I’ll be also welcoming a new maker just in time for Valentine’s Day. The selection process for these bars is simple. Are the flavors balanced? Does the chocolate give me chills? Also, do my friends like it? Yes, the bars do have to be made of ethically grown, organic cacao, but if the answer to all three previous questions is yes, into the shop they go! Next, I want to let you sample craft chocolate. Local Chester county friends can meet me from 2-4 at the Galer Estate winery in Kennett Square on Sunday, January 17th (this coming Sunday) to learn about my French book, using social media to promote your work, and my passion for chocolate. You’ll also meet Robert Campbell, Philadelphia’s only bean-to bar chocolate-maker, who will be there with his delicious chocolate bars – wait until you try the Clasico! I hope to see many of you then but stay tuned for more chocolate-tasting dates. You can find more details here. Finally, I’ll be sharing interviews with makers so they can share their answers to your questions on their chocolate-making process. Again, why is craft chocolate so expensive?! 2016 promises to be an exciting year and I hope you’ll follow me on this delicious ride.